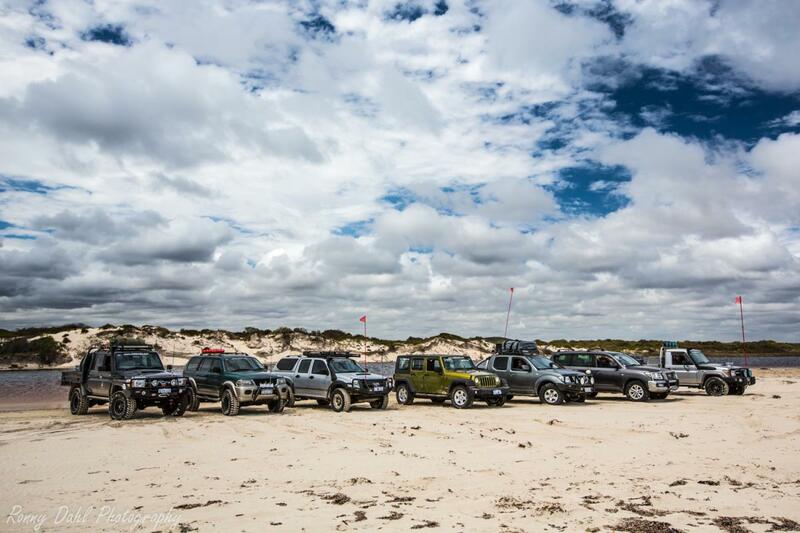 Cervantes to Jurien Bay 4x4 Tracks. Nearest fuel: Cervantes 3 km & (North) Jurien Bay 28 km. 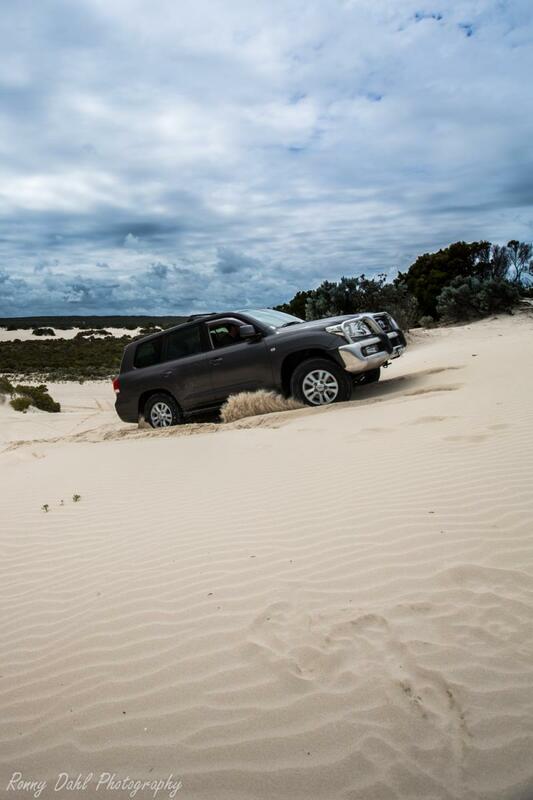 Cervantes to Jurien Bay can easily be done in 1 day, just make sure you start early to make the most of the tracks, beach and dunes. Starting this trip 8-9 am will allow plenty of time to enjoy the dunes and the beaches. Once you add up navigating the dunes and winding sand tracks it ends up at about 25+ km's, it may not seem like a long trip but adding a visit to the dunes, beach and then the Hill River for a little while and time will go by relatively quick! 3 Cervantes sand dune formations with Steep Sand Dunes, beach driving, sand tracks and river crossing is part of this trip. The sand dunes will take a bit of exploring to navigate through, using our GPS way points provided below will ensure you are on the right path/direction. The journey starts from Beach Rd in Cervantes. 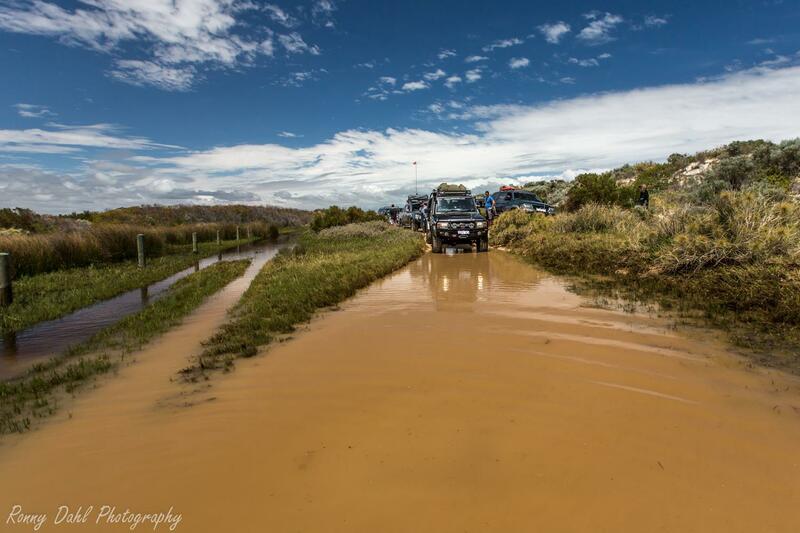 Air down at the Y junction before commencing the Cervantes 4wd adventure. Beach Rd will take you on to the beach instantly, drive just 100m and get off the beach by taking the track on the right. Once on the track keep left by staying on the main track until you approach the sand dunes, some of these dunes are very steep and offer a few good challenges. The entire sand dune formation is an upside down V shape which you will need to follow around and enter the track leading out of the dunes by taking a left turn heading north. From the first sand dune formation this is the only track heading north even when it peels off it joins back on to itself, keep going until the second sand dune formation has been reached. The second sand dune formation is easy to navigate if wanting to just head north and continue on, doing this just keep to the east side of the dunes heading north and you will find the exit track at the other end. 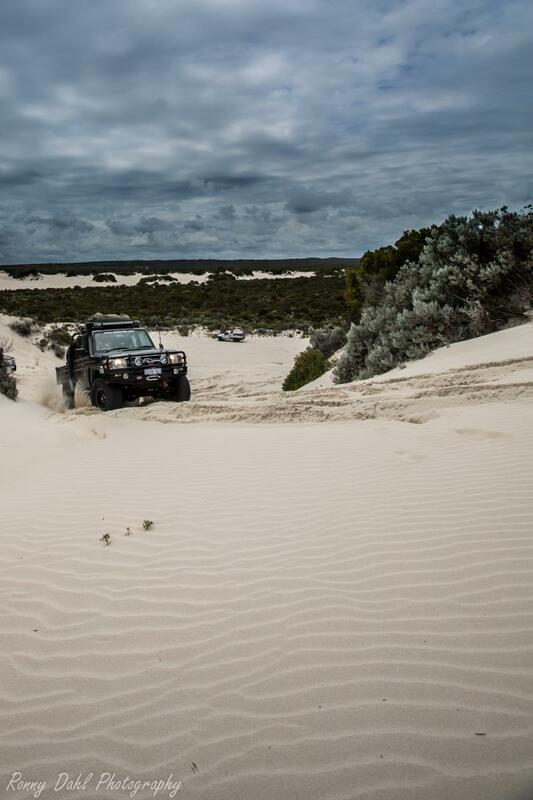 We do however highly recommend spending some time exploring the sand dunes in this 2nd formation, on your Cervantes to Jurien ay trip as there are yet again steep hill climb challenges. Once out of the dunes and heading north along the bush tracks again you will come across a gravel road and car park, here you could take an early exit back to the highway by heading east on the gravel road. If you are up for more adventure head north from the car park along the coastal sand track, this will take you to the Hill River. Approaching the Hill River tracks there may be flooded sections as the tracks hug the river bank, while we were doing the Cervantes to Jurien Bay in October 2013 some flooded sections were above knee deep so take care in winter. Regardless of when you are there always check the depth, beware of snakes while walking the flooded sections, especially right next to the long grass by the river banks. 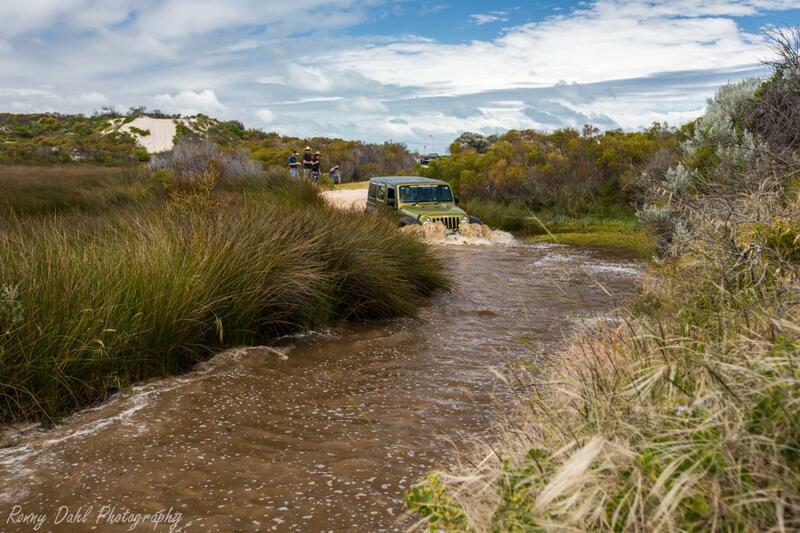 The Jeep Wrangler doing some water crossing on the Cervantes To Jurien Bay trip. Once past the flooded tracks you will approach the beach and Hill River mouth, during our visit in October the river wasn't flowing out to the ocean and we could simply drive around the Hill River and continue on. Just past the river mouth is a track which takes you off the beach heading back into the bush, this is one of the exit options. Hugging the river using the tracks continue on into the bush, this track will take you to the Indian Ocean Highway. Caution this track is very over grown and will result in pin striping, if this bothers you head back to the gravel car park and follow that to the high way. The sand dunes are the main event on this trip, however there are a few great hidden treasures on the way through the tracks and that’s not including the million dollars view along the entire turquoise coloured coast. There are great beaches and lime stone cliffs to checkout and a few sand dune challenges off the tracks which are well worth checking out! See our GPS waypoints below and enter them into Google earth to make the most out of the trip! 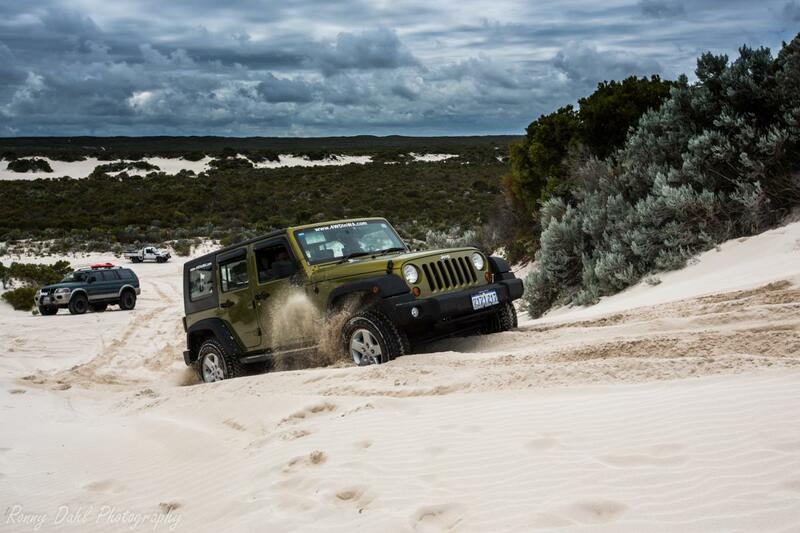 Check sand dunes for drop offs before driving up and over. Check the depth of water crossing. There is plenty of wild life about due to this area not being visited too often so take care and stop for snakes, lizard or anything crossing. 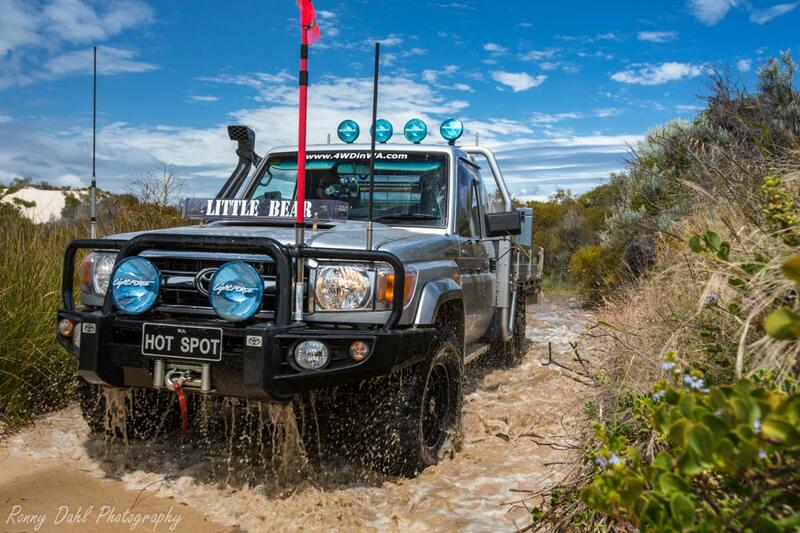 4 Wheel Driving, Fishing, surfing, Kite surfing, swimming, sightseeing & exploring the sand dunes. Air compressor, shovel, sunscreen, bush hat, plenty of water, rated recovery gear, Surf board, fishing gear, Sun shelter & Camera. Easy to Medium, the sand dunes always vary as they can change shape overnight. Patches of very soft sand is always around somewhere in the dunes so bogging the vehicle is all ways possible. The sand tracks have rocky sections and expect a bit of light pin striping from the bushes along the way, other than that the tracks are easy to drive and easy to navigate. 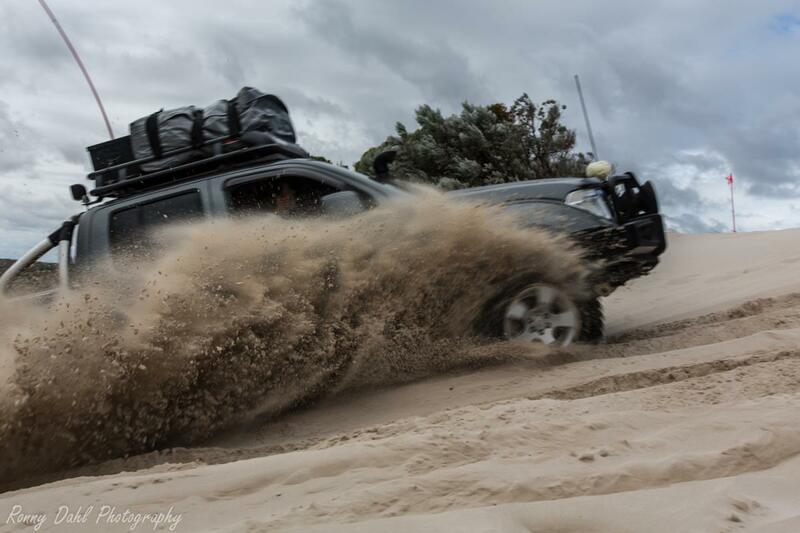 The only possible hard part of the tracks, Cervantes to Jurien Bay, could be the flooded sections of the track depending on the depth, otherwise the entire trip is pretty easy, however playing in the sand dunes you can make it as challenging as you please. Around Hill River, get to this way point and simply follow the track. When multiple track options arise they all lead to the same point. 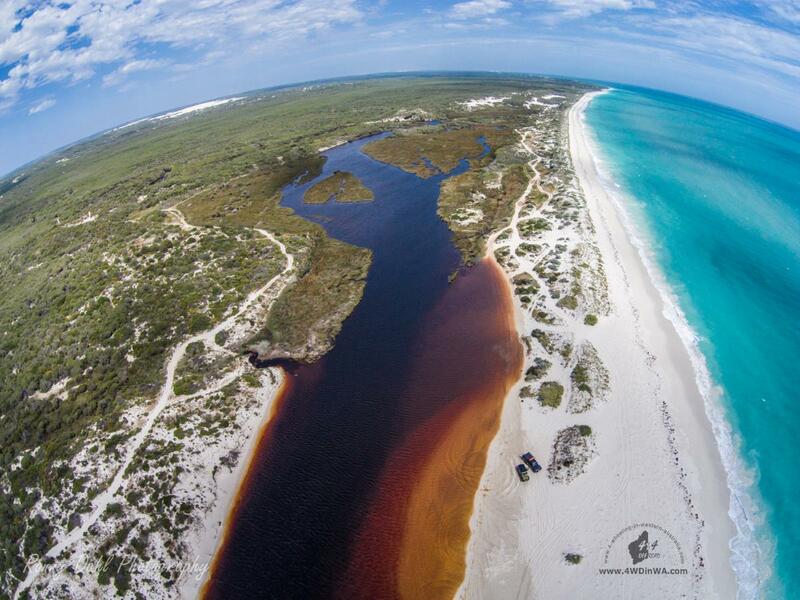 Leave Cervantes To Jurien Bay And Go 4 Wheeling In Western Australia.